Global Food & Wine is known for and proud of the variety of products we supply to our consumers. Each warehouse located throughout Queensland stocks the same base line products needed for starting up your Restaurant, Café, Supermarket, Pizzeria or Deli. Not all areas across Queensland demand the same range of products, rather, they have unique diversities. For example, our customers in Far North Queensland will cater more to the Resorts and Holiday Hotels, which requires a different type of product base compared to somewhere like Brisbane that will cater to more of the busy city life of Café and Deli’s. Global Food & Wine offer a vast range of food products from the finest suppliers in Australia and all over the world. From the best in Italian tomatoes, European cheeses and olives to Australian seafood and more, Global Food & Wine can cater to any business size and need. 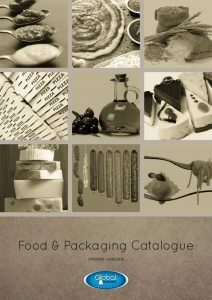 Download our extensive Food and Packaging Catalogue and see what Global can do for you. Global Food & Wine offer a n exciting range of the finest meat and game, with special cuts including rabbit, duck, pork, chicken and beef. 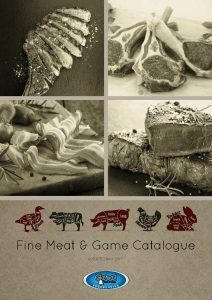 Download our extensive Fine Meat & Game Catalogue and see what Global can do for you. Global Food & Wine offer a vast range of wines from Australia and around the world, specialising in imported Italian varieties. We also offer a large variety of spirits and liqueurs and beers to stock any bar with only the best product for your customers. Download our extensive Liquor and Beverage catalogue and see what Global can do for you. Global Food & Wine’s extensive range of food, beverages, liquor & fresh meats is now complemented with a huge range of fresh Australian and imported seafood. 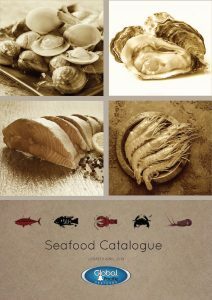 Download our extensive Seafood catalogue and see what Global can do for you.